Yamal polar agro-economic college (technical school), the International Centre for Reindeer Husbandry, the Sami High School and Reindeer Husbandry School signed the Memorandum of understanding. The main objective of cooperation is to preserve traditional knowledge of indigenous peoples about reindeer husbandry within education of personnel. The participants of the Memorandum plan to develop an international educational module on reindeer husbandry, to exchange students and teachers, educational materials, to hold joint conferences, to publish scientific articles. The young reindeer herders and the students of Yamal polar agro-economic college participated in the educational seminar on traditional knowledge and food culture of indigenous peoples within the project of the Arctic Council “EALLU”. The delegation of the region visited the office of the International Centre for Reindeer Husbandry in Kautokeino. Together with the director of the International Centre for Reindeer Husbandry Anders Oskal, Professor of the UArctic Institute of Circumpolar Reindeer Husbandry and Sami University of Applied Sciences Svein D Mathiesen and a member of the Board of the Association of World Reindeer Herders Alyona Gerasimova they discussed plans on cooperation, having agreed to hold the seminar “EALLU: Arctic Youth, Climate Change and Food Culture” in Salekhard this September. The representatives of Yamal were invited to celebrate the 60th anniversary of the Reindeer Husbandry School and the 65th anniversary of the Sami High School. According to the department of external relations of Yamal-Nenets Autonomous Okrug, they got acquainted with educational programs of Sami University of Applied Sciences. 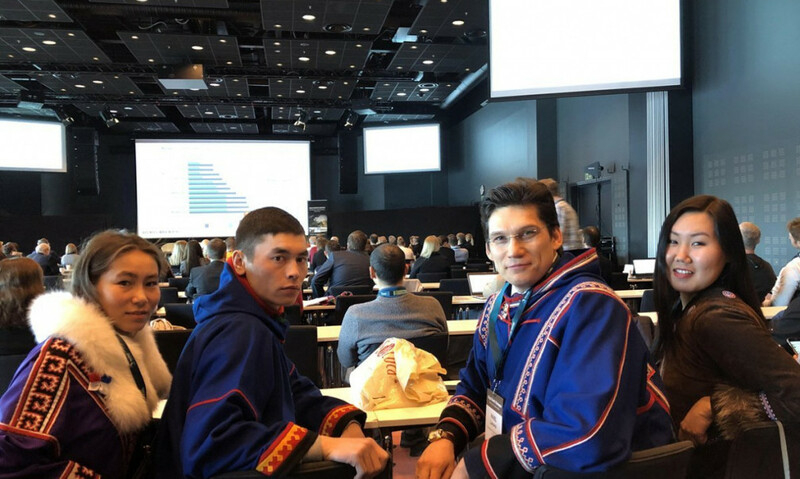 Also, the young reindeer herders and students took a short course “Food culture — innovations, leadership” focused on creative search for business ideas and development of new business concepts in the sphere of traditional knowledge of indigenous peoples. At the conference “Dialogue in the Far North” Anders Oskal marked Yamal as one of the largest regions in the Arctic, experience of which in creation of the unified system to support indigenous peoples and to arrange dialogue with fuel and energy companies can be interesting for the world community. The event gathered together 400 delegates — students, representatives of business, scientists, politicians and other interested sides, who spoke about development of business in the Arctic. Norwegian Prime Minister, the director of the International Centre for Reindeer Husbandry Erna Solberg told about significance of development of cooperation between the countries, Norway and the Russian Federation. The events took place in Bodø and Kautokeino in Norway. The travel was organized with support of the department of external relations of Yamal-Nenets Autonomous Okrug.